The BBC World Service and other international broadcasters are growing their audiences in Africa by producing more audio and video content on digital platforms, a researcher from City, University of London has found. According to Dr Abdullahi Tasiu Abubakar, countries like Nigeria have become target markets for audio programmes because of the longstanding popularity of radio in the region and the recent availability of new technology. The academic, of the Department of Journalism at City, says the BBC has been broadcasting to Africa since the 1930s, when it began transmitting programmes to British colonies through wired broadcasting that involved using loudspeakers set up in public places. Writing a chapter in the book Everyday Media Culture in Africa, Dr Abubakar draws on his research in Nigeria to show how media from nations around the world are customising their content to appeal to specific regional demands. However, he says, global broadcasters are pursuing their own goals hiding beneath a “façade of open participation”, with audiences being encouraged to connect with outlets through digital platforms. 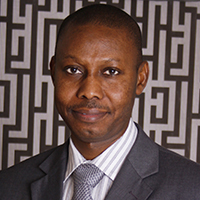 He states: “The massive spread of mobile phones and other portable devices and digital technologies in Nigeria is transforming patterns of media consumption in the country, with an increasing number of people—especially the young and the affluent—using mobile telephony and the internet to interact with global media. The study is based on information from interviews, focus group discussions and analysis of surveys, reports and other data from sources including the BBC. Dr Abubakar says global broadcasters are in a “relentless pursuit” of larger African audiences. They include Voice of America and CNN (USA), Deutsche Welle (Germany), the BBC (UK), RFI (France), Al Jazeera (Qatar) and CCTV (China). He says internet-enabled mobile phones are playing a “remarkable” role in this, highlighting the “uniqueness of Africans’ use of mobile phones for radio consumption”. Nigeria is the BBC World Service’s biggest radio market, with more than 150 million active mobile phones (in 2016) helping to grow its audience despite falls in traditional radio listener numbers. Dr Abubakar says access to media via mobile phones is “largely a continent-wide phenomenon”, with 500 million in use across Africa in 2012. Voice of America found African listeners use their phones in very different ways from US audiences, and in response the broadcaster created long-form programmes. Interviews showed that audience interactivity is playing a more important role in shaping content, with consumers given more power and regularly contributing. However, Dr Abubakar believes that broadcasters still set the agenda of their coverage. Dr Abubakar used a mixed-method approach. He conducted interviews with eight former and current BBC World Service staff (in 2010, 2012 and 2013), plus 15 interviews with Nigerian members of the public (2010 and 2013). He also ran four focus group discussions with audiences in three Nigerian cities (in 2010 and 2012). There were between six and nine people in each group. The researcher also analysed BBC publications, online content and audience survey reports as well as data from several other sources, including the Nigerian Communications Commission (NCC) and the Foreign Affairs Committee at the British House of Commons.